ST. GEORGE – Former Massachusetts governor and 2012 presidential candidate Mitt Romney was treated for prostate cancer last year, a source told The Associated Press. The news came from an aide to Romney who spoke on the condition of anonymity. The aide said Monday that Romney was diagnosed with “slow-growing prostate cancer” last year. The cancer was removed surgically and found not to have spread beyond the prostate, the aide said. The 70-year-old Romney is seen as being a potential candidate for the U.S. Senate now that Sen. Orrin Hatch has announced he will retire at the end of this current term. 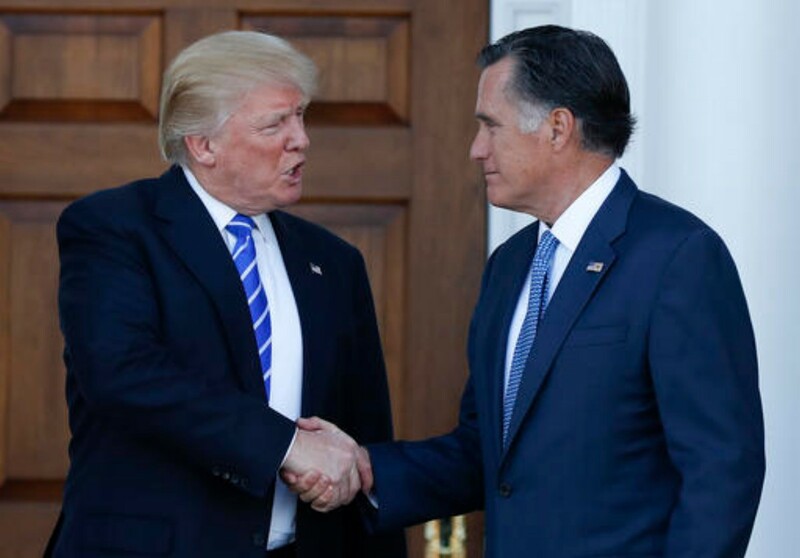 In the wake of Hatch’s announcement, the Associated Press reported that Romney and President Donald Trump spoke about Hatch briefly last Thursday. The two men haven’t had the best of political relationships in the past, as Romney referred to Trump as “a fraud” who had “neither the temperament nor the judgment to be president” during the 2016 campaign. For his part, Trump had urged Hatch to run for an 8th term, reportedly so he wouln’t have to deal with Romney as a senator. While there has been rampant speculation on Romney’s possibly stepping into the 2018 senate race, the man himself has been rather tight lipped on the issue. Romney hasn’t lacked for supporters, though, as former Vice President Joe Biden and Senate Majority Leader Mitch McConnell, R-Kentucky, have approached him about running for Senate. In Utah, a trio of legislators went as far as to create an online petition last fall urging Romney to run called RecruitRomney.com. Romney is popular in Utah where he is highlighted as the man who led a turnaround of the scandal-plagued 2002 Salt Lake City Olympics and as a prominent Mormon businessman and politician in the state that is home to The Church of Jesus Christ of Latter-day Saints. I seriously doubt if he needs your vote. Try saying Senator Romney, with out gasping, choking, or whining. Meyers will be fortunate if he gets 1%. Even if he gets the ultra right vote. Mori, how many other men were treated successfully? Why is this one guy newsworthy on that point? East coast to live, CA for surgery and Utah when you want power in politics. Vote Larry Myers and make America great. NOT Larry Meyers. He can’t even keep up the care of his home and property.